Marketing technology is really popular right now. Despite the explosion of the MarTech space, a significant knowledge gap exists amongst marketing professionals. Indeed, according to industry consultants, many of the questions they receive regarding MarTech are still very basic and introductory. This makes sense. After all, marketing and technology (IT) are traditionally two departments that have had little to no interactions with each other. But if we think of all the little ways in which technology has integrated with our own personal lives, it’s not difficult to imagine all of the little ways it has integrated into our business lives as well. And, just as we needed to pick up a few skills along the way to properly work all of our new gadgets, the need for tech talent in marketing (and conversely, for marketers to pick up tech skills) has increased. Therefore, the best way to understand MarTech today is through the convergence of marketing and tech talent. In this blog, we’ll take a dive into the MarTech space and discuss important topics such as the current challenges the industry faces and why it’s so hard to hire MarTech talent today. As always, let’s start with the basics. As alluded to in our introduction, MarTech is quite literally the combination of marketing and technology. When we think about MarTech, we should be thinking about the tools and services that help us differentiate between “marketers” and “digital marketers” (No. 9 on our rankings of Most In-Demand Creative Talent for 2018). To help illustrate this, let’s consider some examples. Hootsuite is a platform that lets you to link your social media accounts to a single dashboard, which allows you to distribute new status updates/content to multiple networks at once. Hootsuite also has an automation element which allows you to schedule future posts and alerts you of certain interactions and engagements. For Social Media Managers (No. 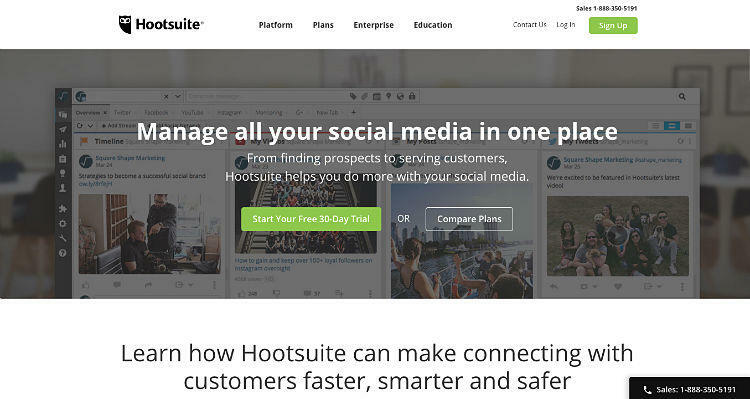 12 in our 2018 rankings) Hootsuite is a piece of MarTech that helps them do their jobs more effectively and efficiently. Outside of social media MarTech, consider “retargeting” as a definitive example for the space. Retargeting is when a consumer engages with some portion of a business’s digital presence, and that business uses this interaction to then market to the customer outside of that first interaction. 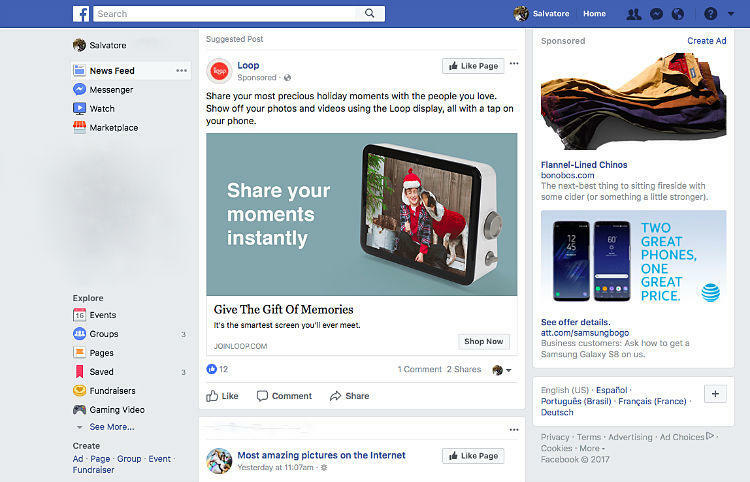 For example, you go to your favorite brand’s website, abandon a shopping cart and then start to see the items you didn’t buy being advertised in the side-column of your Facebook news feed. The companies that provide these kinds of retargeting services are MarTech businesses. Both of these are good examples of common forms of MarTech today. However, while one (Hootsuite) requires the same level of expertise needed to run a single social media account, the other (retargeting) can require serious coding and analytics skills. And that tends to be where MarTech is trending these days. Away from the common and towards the complicated. When we start to think about more advanced technologies and their involvement with marketing–like Artificial Intelligence and Machine learning, Big Data and Blockchains–we start to enter territory that feels more like science fiction than modern marketing. 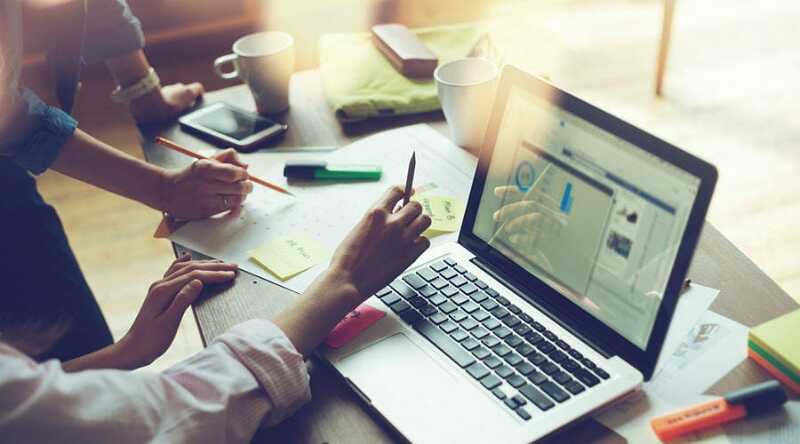 As marketers work towards realizing the ultimate MarTech vision of complete one-to-one consumer ad personalization across all channels, the need for professionals with hybrid marketing and tech skills will continue to grow. Is there a difference between AdTech and MarTech? At some point along the way you may have wondered to yourself, isn’t MarTech the same thing as AdTech? The confusion between AdTech and MarTech is nothing new and, if you read enough content in the space, you’ll quickly identify the two camps in this debate. While one side argues there is no material difference between AdTech and MarTech (other than the prefix) the other side argues that there are, in fact, important differences. Mainly revolves around performance-based media–or online digital ads that charge based on measurable interactions. Examples of performance-based media include ads that are paid for based on how many thousands of views they’ve received (cost-per-thousand, CPM) or based on the number of clicks they’ve received (cost-per-click, CPC). Leverages a browser’s tracking cookies. The pro argument for this method is that it can help you collect incredible amounts of analytics on your consumers and their behavior. The con is that it’s often very difficult to execute this type of tracking and poor execution can lead to meaningless data. Focuses on the one-to-many marketing model. The idea here is simple; you’re placing an ad and hoping that many in your target audience see/engage with it, regardless of the customer’s personal preferences. Another reason AdTech is typically associated with performance-based media. Largely considered more difficult to use. AdTech requires niche expertise that often aren’t found in-house and aren’t readily available in talent markets. Therefore, it’s often outsourced to agencies. Primarily relies on a subscription-based model or on what’s known as a “seat-based model.” Unlike AdTech’s performance-based media, in this scenario, access to a target audience is provided via a subscription or seat-based payment method. Here, a company pays based on the number of marketers using the platform vs. how many customers they were able to engage on said platform. Largely utilizes manual customer identification, such as when an employee enters information into a Customer Relationship Management (CRM) platform in order to personalize future interactions. While this can be difficult to scale and requires manual oversight, it does mean that each customer entered into your system is a real person (and not a bot) and is personally identifiable. Focuses on the one-to-one marketing model. Since MarTech is technically more focused on personal identification-based marketing (think account-based marketing), this model is more concerned with customizing the experience for each client’s needs. As you can see, while these differences are important, they’re also pretty minor. And, for anyone who works in MarTech on a daily basis, they might also seem a bit outdated. Why? Well that’s because AdTech and MarTech really live under the same umbrella and are starting to become one in the same. A big indicator of this is in that last bullet point above. While AdTech is normally outsourced, over recent years it has been moving in-house with the rest of the marketing team. This shows how AdTech is being normalized and mixed in with the rest of the pot. MarTech can be a point of frustration for many organizations. It has become absolutely essential that businesses today take advantage of available technologies if they want to effectively reach and grow their audiences. However, identifying, acquiring and effectively using this technology isn’t easy. And, few have the talent available to do so. Therefore, the biggest challenge MarTech presents for businesses today is a talent one. As mentioned in the introduction, the MarTech space now includes more than 5,000 vendors, service providers and platforms. These MarTech business account for $2 Billion of a $223 Billion digital advertising pie. Not only do these numbers illustrate a massive industry, they present one with plenty of room to grow. Many in the space believe that the biggest advantage a business can have in MarTech is being able to efficiently identify, acquire and use new tech before the competition. This requires capable MarTech talent. We, as well as the rest of the staffing space, talk about the skills gap ad nauseam. But that’s because it’s probably the most important topic in HR today. The fact of the matter is, the number of marketers with the tech skills needed to fill MarTech jobs and vice versa, exceeds the available talent with those capabilities. And, with about 40 percent of today’s available marketing jobs requiring digital (read: technical) skills, this skills gap is here to stay. It’s no wonder why Digital Marketing jobs (jobs often requiring MarTech knowledge/skills) take, on average, 16 percent longer to fill. When a business decides it’s time to invest in MarTech, it normally means they need to make a hire as well, as those skills rarely already exist in-house. Chances are, when they start this talent search, they’ll be looking for an individual that is self sufficient, because they simply can’t afford to provide on-the-job training. The reason for this is two-fold. For one, as just mentioned, the skills needed for MarTech don’t already exist within the company. Therefore, on-the-job training would require outside help in the form of classes or an online course. The second, and possibly more important reason, is that MarTech success is largely tied to the tech itself. If you’re unable to quickly move between platforms or bring on new services seamlessly, as needed, then you risk being left behind. This truly makes finding an experienced candidate of the utmost importance. As you can imagine, even writing a job description for MarTech talent is difficult. First of all, they often have unfamiliar job titles such as Digital Marketing Strategist, Digital Marketing Analyst and Digital Marketing Technologist. Secondly, you’ll feel as if your blending two job descriptions together–explaining the communication and presentation skills that a tech candidate would need, or the coding chops you’d expect from a marketing candidate. Couple that with the fact that MarTech is extremely popular, and that businesses are dedicating upwards of 33 percent of their marketing budget to it, and you can start to see why competition in these talent pools is so high. In order to make a proper hire, you must not only understand your business needs but how to effectively engage, attract and vet these hard-to-come-by candidates. The easiest way to accomplish this is to partner with a staffing agency like Onward Search that already has access to the MarTech talent you need and who have the nationwide support required to complete an effective talent search. If you’re ready to get started on your MarTech talent search, start by filling out the quick form below and one of our industry experts will be in touch to discuss your hiring needs. Need help finding the right candidate for your MarTech role? Complete this form and one of our experts will be in touch to discuss your needs, shortly.